Located on the banks of the Tigris River, Baghdad is the capital city of Iraq and the second largest city in the Arab world. Labelled the ‘city of learning’’, Baghdad has evolved into a centre of commercial, cultural and intellectual significance. Baghdad has shown resilience in recent struggles and is slowly regaining its former glory as a lively tourist destination. Cheap flights to Baghdad are now available for a limited time only, so book your flight today and prepare to be amazed at the historical splendour and pulsating culture of this city! Baghdad is home to Baghdad International Airport (BGW), situated 35 minutes from the city centre and is easily accessible by car. The lively atmosphere of the downtown markets is a mesmerising experience. Turn some pages at the old bookstores along Mutanabbi Street or shop for copper treasures, exotic spices, and colourful Persian rugs. With a history spanning thousands of years, you’ll see distinct resemblances of Byzantine, Roman and Persian architecture, exemplified in the Abbasid Palace and the Arch of Ctesiphon. 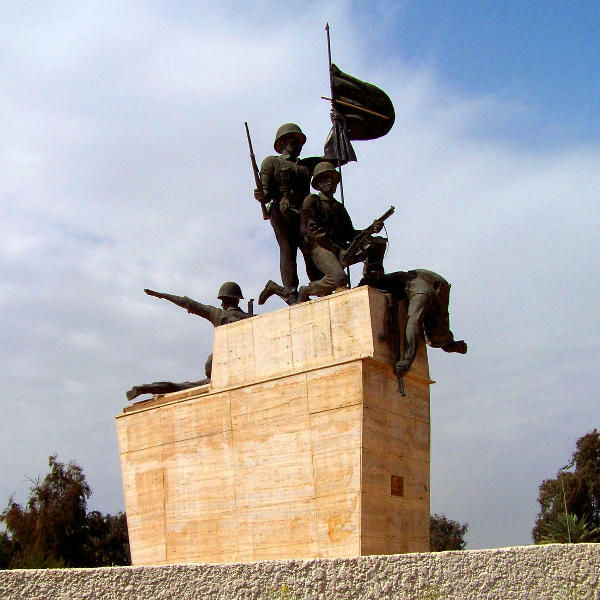 With the city having undergone severe conflict and change over time, the centre of town harbours many monuments and memorials paying tribute to those responsible for its preservation. Baghdad experiences a desert climate and there is virtually no rainfall throughout the year. Summers are exceptionally hot and travel during this time is best avoided. If you’re planning a trip to Baghdad, go between November and April, when the cooler temperatures of spring and winter set in. The Baghdad International Film Festival is held in December and features some of the best screenings of local and international cinema. Baghdad is currently experiencing a volatile political climate, with some areas under threat by terrorist groups. Current travel is not recommended; however, do consult the local embassy and keep abreast of current affairs to stay informed about safety regulations. 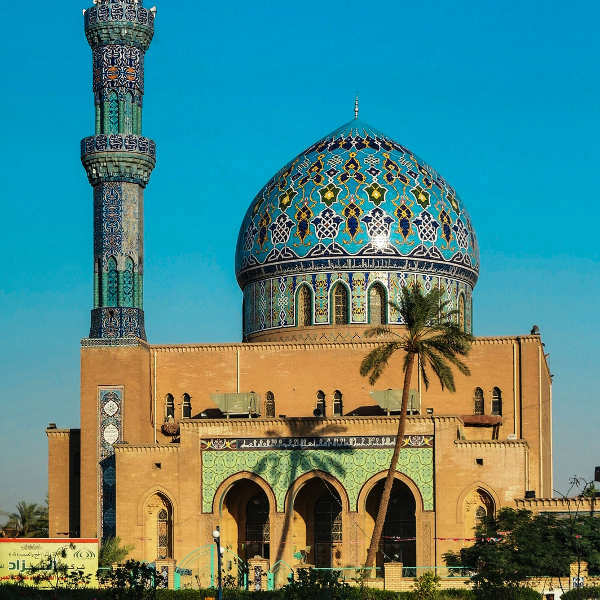 Triumphing through political and religious tension, Baghdad is a city with an incredibly rich history and culture. 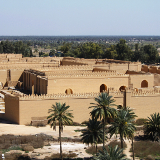 This great capital of Iraq was once at the centre of the great Mesopotamian civilization. 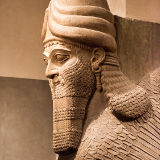 Other major empires, including the Sumerians and Babylonians, have too made their mark here, reminiscent in the ancient Babylon ruins and other landmarks. The city truly came to life during the golden age of Islam. It became the centre of scientific, cultural, and artistic learning and was one of the greatest capitals of that time. Baghdad’s modern history has taken away much of its cultural and historical significance, but beyond the current mayhem lies a city poised to be a major Middle Eastern travel destination. A visit to the National Iraqi Museum helps you understand how art, science, religion, and industry developed, and how the best and worst aspects of humankind came to exist. The Al Shaheed Monument, or Martyr’s Memorial, is a beautiful structure serving as a memorial to the Iraqi lives lost in the Iran-Iraq war. 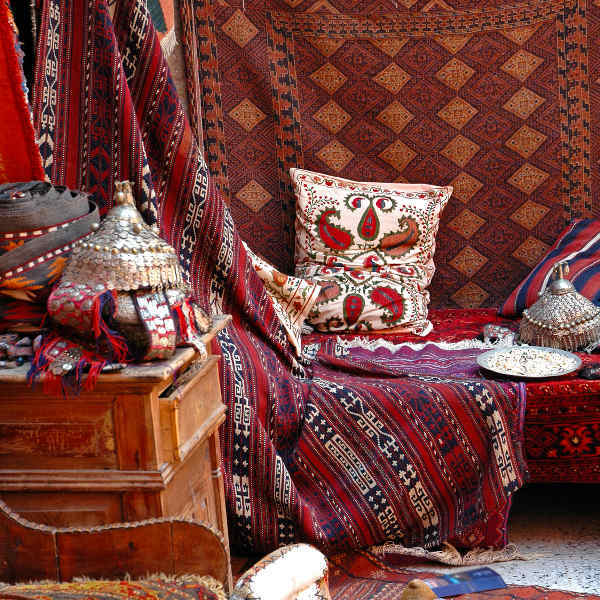 Through the dusty streets and bustling alleyways, visitors will be treated to a feast of colours, fabrics, copperware and delicious food at the souks in the centre of town. Don’t underestimate this city – you’ll be pleasantly surprised and inspired by its vibrant culture, local hospitality and zesty flavours! 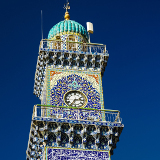 Compare several airlines, and book your cheap flights to Baghdad online at Travelstart! There are no required vaccination for entry into Baghdad. It is recommended to get vaccinated against Typhoid and Hepatitis A due to poor hygiene standards and possible contact with contaminated food and water. Tap water is unsafe to drink, so ensure you always have enough bottled water to avoid dehydration, especially during summer. Travellers to Baghdad must be warned about travelling to areas with serious conflict. Travel to the region is currently not advised. If you must travel to the city, it is recommended to hire personal security to monitor security situations in and around the area. The International Zone (or Green Zone) is a 10km secured area in the central district where you can find hotels, restaurants and coffee shops, catering to foreigners. Avoid staying in areas outside of this zone to minimise exposure to unwanted criminal activity. The most comfortable area to stay in is the International Zone (Green Zone) where you can find many mid-range to high-end hotels with good security and decent facilities. This area, frequented by expats and most visitors, offers many great restaurants, fast-food joints and international bars. Hotels may require that payment is in foreign currency, so be sure to check their policy when making the booking. Bookings should be made in advance. Note that a 10% service charge may be added to your final bill. Public transport systems in Baghdad are not very reliable or well-maintained. Buses are often overcrowded and not on schedule, while the train line only operates between Baghdad and Basra. Taxis are available throughout the city. Fares should be decided upon before getting in the taxi; however, be aware that metered taxis may charge double the amount shown on the metre. If you’d prefer to walk or cycle around, stay within the perimeters of the International Zone. Remain vigilant of your personal belongings and don’t flash money or expensive items. Travelling outside the city is not recommended, due to the risk of hijackings and robberies. If it is necessary to travel by road, make sure you travel in convoys of a few vehicles. Car hire is available at the airport and in the city.